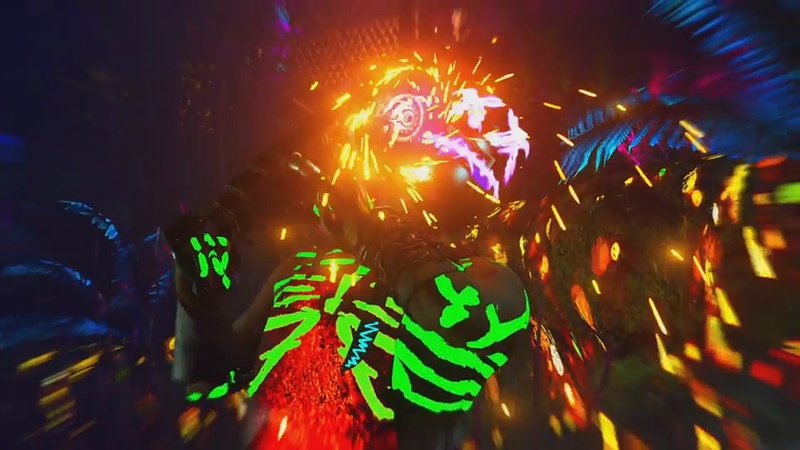 The new zombies map 'Rave In The Redwoods' gameplay trailer is here! The first Call of Duty: Infinite Warfare DLC Zombies map, Rave In The Redwoods has been released by CharlieINTEL. Rave In The Redwoods is the first DLC Zombies map to hit Infinite Warfare and will be apart of the new Sabotage DLC and it features new weapons, traps, pack-a-punch camos and more! Take a first look at Rave in the Redwoods, coming with #IWSabotage. The first shot we get is a misty and dark creek, and we instantly get to see the magic wheel/mystery box, new traps and some strange Easter-Egg-like places, clearly heavily inspired by Treyarch. The 1st trap we see is the well-known fly trap from Call of Duty: World at War Zombies – Shi No Numa, the 2nd trap we see is the disco-trap which we have also seen previously in Zombies In Spaceland, Infinite Warfare's first zombies map. Rave In The Redwoods also features a new feature to Infinite Warfare zombies, which we have seen in Call Of The Dead and Zetsubou No Shima, the zip-line. This allows you to get to your destination faster but it will probably cost you some points. 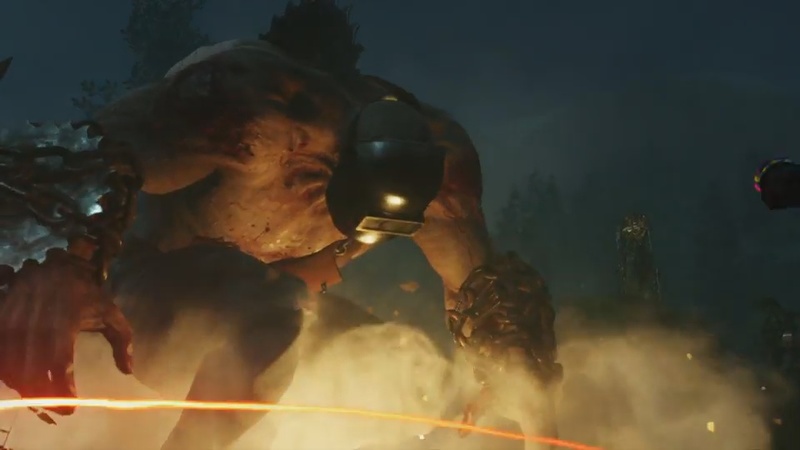 The gameplay trailer also reveals 3 new boss zombies: one red eyed wolf, a completely new boss who seems to be Michael Myers covered in strange lights and a mask and lastly, a new version of the brute from zombies in space land who in this map has an iron mask, chains around his hands and a huge blade saw in his back. We haven’t been able to spot any new perks in the new gameplay trailer but we have spotted 2 perks which are mule munchies and quickies. We have also spotted the pack-a-punch machine in the map as well as the pack-a-punch camo which is a blue shiny camo, similar to the blue pack-a-punch camo variant from revelations, black ops 3 zombies. The 4 characters are the same from zombies in space land (Poindexter, Sally, Andre and AJ) but they look completely different. It seems like the setting of the map is completely different as well. The characters seem like they are about 10-15 years older but you can still definitely recognize them. Infinity ward’s zombies team has (as far as we can tell by the trailer) added the same weapons from zombies in space land and at least 1 new gun into rave in the redwoods which is the OSA (Classic weapon) this may also be the zombies team hinting towards classic weapons coming to rave in the redwoods. These are most of the features, weapons, traps and more in rave in the redwoods, we will keep you updated with the release of DLC 1, January 31. Tom Henderson is your standard British dad, that enjoys eating crumpets and drinking tea.